I have a background in decorative painting, tole painting, and landscape art in oil and acrylic. 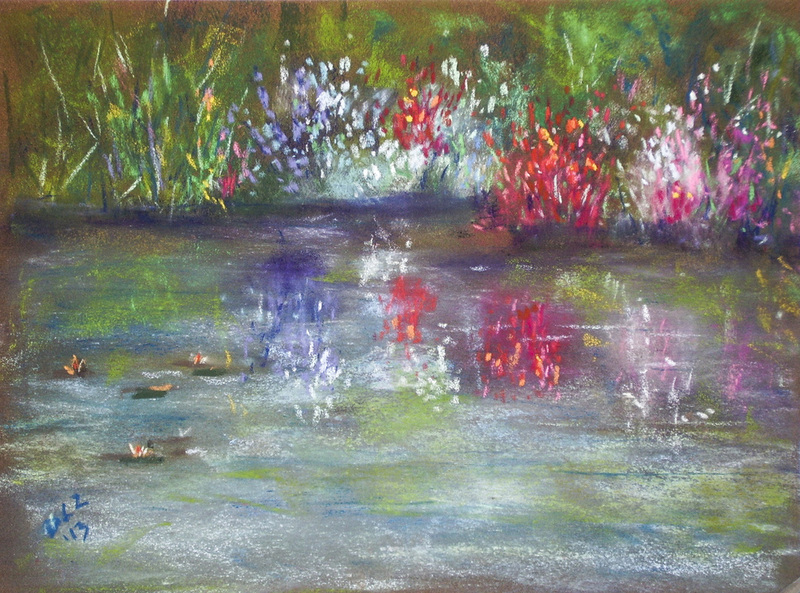 But currently, I have begun working in pastels—a new and exciting medium for me—inspired by my summer trip to Paris last year. I had put away my brushes and paints for too long. The impressionists gave me permission to continue—to paint what I feel. Since then, I have been studying intently just about every video and book I can get my hands on and plan to keep studying, taking lessons, learning, and painting in both pastel and acrylic. 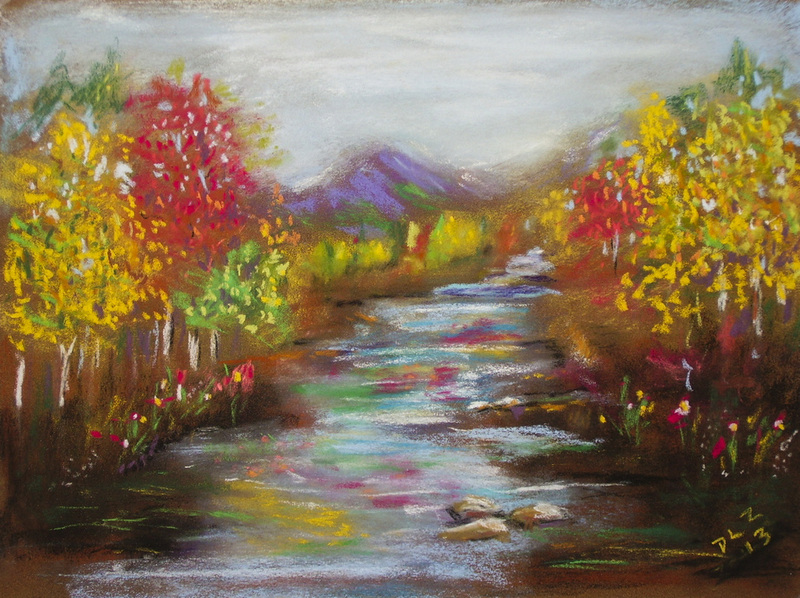 My inspiration almost always comes from nature-- lakes, rivers, streams, woods, desert, mountains, farmland. I hope my paintings stimulate imagination: what's in that old building? Where is this quiet stream? Who walks here? 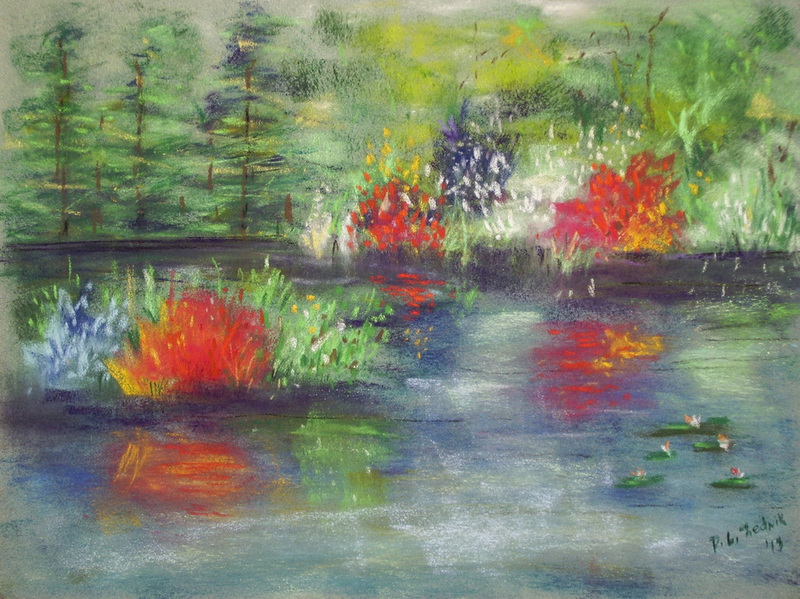 Sometimes I paint something to change or match a mood: a peaceful pond, a bright autumn day, an abandoned barn, a grey winter afternoon. I grew up in Wisconsin and New England. My work reflects many memories of the seasonal landscape, vivid autumns, stark winters, and steamy summers. My day job was being a college English teacher. I am a along-time resident of the Santa Clarita area, and I live in Agua Dulce with my husband and four cats.